If you've been exposed to a certain type of radiation, you should waste no time getting decontaminated — by having a beer. This is a time-honored way of dealing with tritium contamination, from the early days of Los Alamos to today. Tritium is hydrogen weighed down by not one, but two extra neutrons. The usually footloose and neutron free hydrogen is so distressed by its two companions that it annihilates its own identity. One of the neutrons decays into a proton, turning the hydrogen into helium. The process often releases a low-energy electron, but can also spit out a relatively high-energy electron, known as a beta particle. Outside the body, this is no problem. The skin can stop a beta particle. Inside the body it's a different story. The beta particle can take out DNA and cause cancer. Tritium has a lot of ways of getting into the body. It can contaminate water, or hang around in the air, letting people breathe it in. Once in the body, it gets incorporated into "body water," which is just what it sounds like. The fluid that sloshes around every part of our body is suddenly contaminated with tritium. Fortunately, scientists have found a great way to reduce tritium exposure. Increase the "turnover" of water in the body. One simple way of doing this is upping liquid consumption. If the consumed liquid has the effect of flushing out the liquid already present in the body, so much the better. This is why standard practice for scientists at Los Alamos who worked with tritium was to head off to a bar and get drinking. 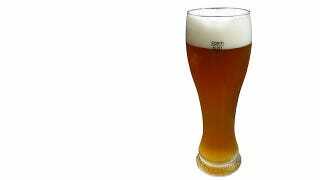 Beer is a diuretic, taking liquid out of the system. A few beers can up the body's turnover rate and flush out the tritium. For those of you who don't like beer, other popular diuretics are wine, coffee, and tea. All of these are recommended in the Environmental Protection Agency's guidelines for tritium safety. In the section entitled "dose reduction" the report enthusiastically states that enouch consumption can reduce the biological half-life - the time it takes for a substance to lose half of its effect in the body – from ten days to only four or five days. The report also recommends chemical diuretics, but cautions that they should only be used after consultation with a doctor. Best to go for a beer first.